Still can't use the map stash tab I bought a week ago? Saw 5 days ago a post about it being fixed in the next 24 hours. Still waiting. map tab fix pls... I need my unique and shaped maps back! and i have no more slots to put new maps without map tabs. No map tab fix really, worst league so far for standard players. 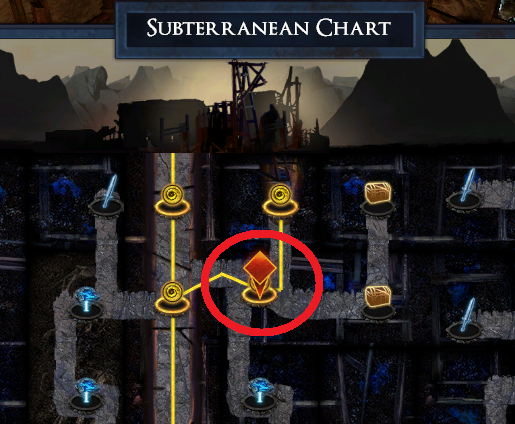 where is the first delve encounter for the plinth interaction?? have i missed anything or why cant i invite alva to my hideout yet ? was announced in the preview ! You will now receive the recipes to craft two or three sockets on items by interacting with the plinth in the first Delve encounter. For players that have already interacted with this plinth, simply return to the first Delve encounter and you should be able to interact with the plinth once again to receive these crafting recipes. In a future patch, we will retroactively grant these recipes to all players that have interacted with the plinth prior to this change. Ok. i waited this patch for full 2 days to make my pure armor helmet into 4 socket blues, i wasted thousands of chromatics, i still have no idea how to unlock 3 color socket recipe. It's not automatically unlocked for me. Really disappointing to not get a fix for the missing maps/map tab issue as announced earlier (and 5 days ago). Other bugfixes are great,new artwork looks wonderful,Betrayal sytem is..interesting,but really guys..You're making a LOT of people in Standard upset!You can play (some) old maps and drop new ones,but without spending $$ on a new map tab you have little room to store them.Even worse is the substantial currency loss for those with endgame unique and shaped/elder maps that have gone missing (and the resetting of progress). *Huge* investment for the casual player to fill out the Atlas and then lose all that progress. Please have some love for Standard! do I have to make another character and get to act 7 to get her in my hideout?